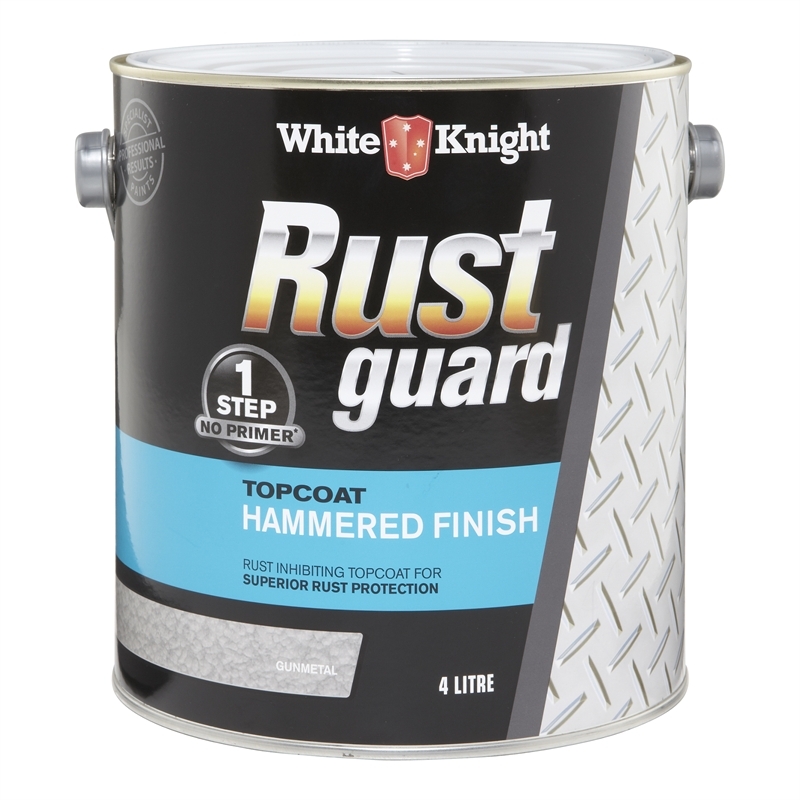 White Knight Rust Guard Hammered Finish is an effective rust inhibiting topcoat that transforms rust into a professional, long lasting colour finish in one easy step. White Knight Rust Guard Hammered Finish is ideal for use on metal fences, roofs, doors, gutters, downpipes, windows, railings and gates. 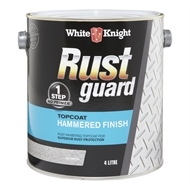 White Knight Rust Guard Hammered Finish may be used on all metal surfaces. Clean brushes and equipment with White Knight Rust Guard Solvent or mineral turps immediately after use.